The NSC analyzed each state’s laws to see if they addressed each risk factor specifically and thoroughly to promote safe driving behaviors. While Texas has plenty of legislation against driving under the influence, requiring wearing seatbelts, and monitoring elderly drivers, it was deficient in the remaining five factors. Texas ranked extremely poor in child passenger safety, with very few policies dictating age and weight requirements for children in car seats. The state also performed very poorly with regard to speeding, teenage drivers, and vulnerable road users. 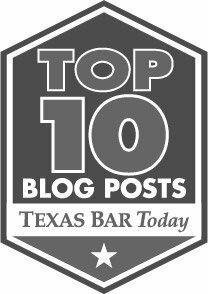 Texas is notorious for having some of the highest posted speed limits in the country, and this can have a severe effect on the outcome of car accidents. Despite a recent initiative to require young drivers to take distracted driving education before receiving a driver’s license, teen drivers in Texas have fewer restrictions and requirements than teens in other states. In terms of protecting vulnerable road users, Texas just isn’t doing as much as other states, including not requiring motorcycle helmets for all riders. Texas did rank slightly better when it comes to distracted driving, although there is plenty of room for improvement. Texas was one of the last states to implement a cell phone ban while driving, which just recently went into effect. Overall, the NSC gave Texas a “C” grade for road safety. However, this just isn’t good enough. Simple things like dropping the kids off at school or going to the grocery store shouldn’t be dangerous activities. Unfortunately, there are reckless drivers on the road that can turn these mundane trips into life altering events. Regardless of a state’s laws, every driver is responsible for driving safely. If a reckless driver injured you or someone you love in a Houston motor vehicle accident, you can hold them responsible. Contact the motor vehicle accident attorneys at Blizzard Law PLLC today to schedule a free consultation to discuss your case.